Dont forget to drop your link in the Guestbook. Last Sunday, the weather was damp and sent me feeling lethargic. It took me awhile to get up from bed trying to ponder what I would do next after downing a sizable cup of green tea. At any rate, I managed to grab the L.A. Times, browsed it, and tossed it away after. But like most of the previous headlines about how bad the economy is, the news articles would only exacerbate my snoozy Sunday. So I boiled more water for my second serving of green tea, plus, five pieces of “hopiang pandan” to counter the brazen weather. The hot tea perked me up a bit now and I needed to do something stimulating to while away my time. Throwing my fingers into the keyboard to write about anything, however, was not one of them. I just wanted to sit back and relax. I was all alone. I had to amuse myself for whatever means possible. Hence, I dug into my DVD rack and loaded a comedy movie starring Steve Martin. After a couple of hours, I loaded another comedy film called Harold & Kumar – Escape from Guantanamo Bay, starring John Cho and Kal Penn. Two hours later, I loaded the third one, this time it’s a movie that has been sitting in the rack for years now. A movie that has earned praises from mostly girls or women in love. For some reason, I have more funny, musical, horror, and action movies sitting in that rack, nonetheless, gave a thought on this movie described by Gene Shalit on The Today Show as, “A matchless romantic comedy.” The New York Observer calls it, “Uplifting and Delightful.” Fox TV says, “A perfect blend of comedy and romance.” The movie I’m talking about that was released in 2001 is simply called Serendipity, starring John Cusack and Kate Beckinsale. (Serendipity is the effect by which one accidentally discovers something fortunate, especially while looking for something else entirely). The movie was, indeed, funny and romantic. More importantly, however, it made me nostalgic about Manhattan. Now that I call Los Angeles my current address, having been to the exact location to most of the scenes in that movie was rather amusing to me. It was in Manhattan where Ces and I have first dated. Thanks to Serendipity! My Sunday weekend has never been the same after watching it. I was able to watch this movie pero nalimutan ko na halos ang story.. But as i can recall, this is a romantic movie about finding your destiny.. and that "Everything happens for a reason". Pareng Ron, I love this movie, binata pa alng yata ako napanood ko na yan couple of times na... yes it's a chick flick pero ano gagawin ko dahil maganda naman talaga yung movie. One of the best romantic film i've watched since A Walk To Remember. I like the plot of the story, the serendipity, the destiny of the two main character. LIke the soundtrack also. Actually my wife & I but the original cd to listen to. Inggit ako sa story mo, ang sarap ng pandan hopia at green tea sa malamig na umaga. Nagutom tuloy ako. Hehe! Hopiang Pandan, huh? You're a Flip, aren't ya! :) Seems like life is treating you good in there. Haven't watched Serendipity but it has been recommended to me a few times too. I love watching movies and I almost always watch one everyday but haven't watched any of the movies you mentioned. I have Harold and Kumar Escape From Guantanamo Bay but I can't watch it as it contains R-rated scenes. It's alright but my little brother and Mom usually just pops up everywhere, don't want them seeing the R-rated stuff. Hi Ron, Yeah...Serendipity is a good romantic comedy. 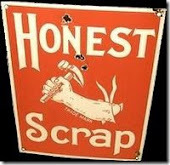 It's a good escapist film - harmless and fun, enjoyable and worth watching. This fluffy romantic comedy has heart and though the script is, admittedly, predictable, its excellent cast makes it one of the most enjoyable romantic comedies. Guess you enjoyed it more with your hopia and green tea...Hahaha. I never actually thought that I would love the film as well. I watched it last year with my boyfriend and got really surprised that I found myself enjoying every minute of it. such a great film. the story's not too twisted. it's simple but it can really touch a person's heart. anyway, thanks for dropping by my blog all the time. i really appreciate it. have a great day!!! as always, great post! 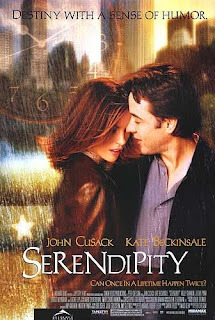 first of all, Serendipity rocks my world and i laugh, i cry, and i feel all warm and fuzzy inside when i watch it! second of all, even though i read your whole post at light speed, that shiz was great! really felt like a nice lazy Sunday! suh-weeet! third of all, i didn't know you're in LA! how cool is that! we're CALI homies. suh-weeet! havent watched this movie yet but i heard a lot of people saying it's good. i should watch this some time. This was a very solid film indeed. Even though it was fairly predictable throughout the film, it still found a way to connect as well as toy with different emotions, too. And like others have said, the cast for the film was very good, too. Read all your comments. Thank you for taking time to come by. I'm really inspired by all your support! BTW: Ck hehehehe! There's a lot named Cecile, but there's only one who stole my heart. Hehehehe! Serendipity is about the search each undertakes some years later, right before it's too late. I have seen that movie several times, and your post pushes me to search my movie cabinet this afternoon to get my VCD copy and watch it all over again with my wife while lazying in bed enjoying my Friday off. hello hello! sorry, Ron.. i know you are busy but i just tagged you. you don't have to do it anyway .. just want to let you know i appreciate you visiting my blog always..
Maxi,hahahaha! Thanks for the tag maxi. Thanks for thinking about me. Seen the movie three times already. Eveytime nga that it's on our free-to-air channel, pinapanood ko pa rin sya. siguro dahil ung librong ginamit dun sa movie is my favorite. One Hundred Years of Solitude, tama ba? O dahil na rin siguro dun sa premise ng film na life has its own ways of surprising us. She put the $5.00 bill in a second hand book titled One Hundred Years of Solotude. That's exactly what was in my mind, Ces and I had our first date in Manhattan. ron, i agree you guys have soft spot once in a while! I'm inviting you to join the EARTH HOUR 2009! will check it out jeszie. i do that most of the time watching lazily at my bed while watching movie after another hehehe its fun! this is my boyfriend's favorite movie and I could not understand why. LOL. very good post. I can imagine the scene and the picture you were trying to paint. you're in LA pala? Nice to see you here. Isn't it nice to just sit and lounge and not worry about anything? Hehehehe! as i said earlier, men have soft spots once in a while. Hehehehehe! m glad you liked the movie. i'll drop by your site, thanks. Nice post! Well written! I hope to watch this movie one of these days. Thanks, Ron! See you around and Happy Monday! Thanks for always coming by! Good luck on you contest. Thanks for the tag Sherwin, pare! I'm really honored by your friendship. I have those days too when you feel like just lazing around the house and enjoy doing nothing. I have only been once to Manhattan and I hope to see it again sometime in the future. It's nice to be lazy once in a while. Thanks for returning the favor! I saw the movie when it first came out and enjoyed it more than I thought I would. By the way, you really are a gifted writer and I enjoyed reading your post.